Not my actual Mom thankfully, the police telephoned Tasia* the mother of the family I’m staying with. Had the police telephoned my real mother in Ontario, she would have told them to keep me in jail for a couple of nights then refused to pay my bail. My mother believes in natural consequences and doing hard time. Getting back to my story, in the small Quebecois town where I’m currently living, the preferred method of transportation is biking. Thus at the beginning of the immersion program, all of the students dutifully marched to the house of a man who owns sixty some odd bicycles. Tragically he does not believe in repairing his stock, instead he gives a ten percent discount if the breaks don’t work and the advice to “be careful on hills”. 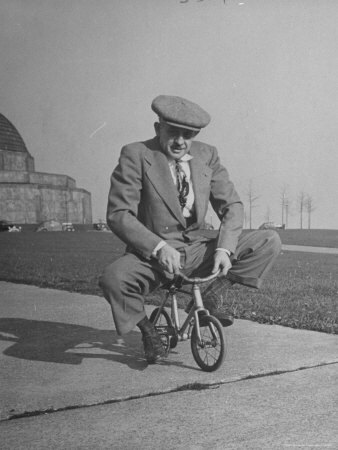 The proprietor maintains that having a bicycle is the most important thing, regardless of whether it sounds like a maraca filled with screws when you peddle or if it fits. For the second time during my stay here, I had to return my bike to him to receive a new inner tube. Instead of staying while he completed the repair, I asked whether I could borrow another bicycle for the day. He said “yes”. 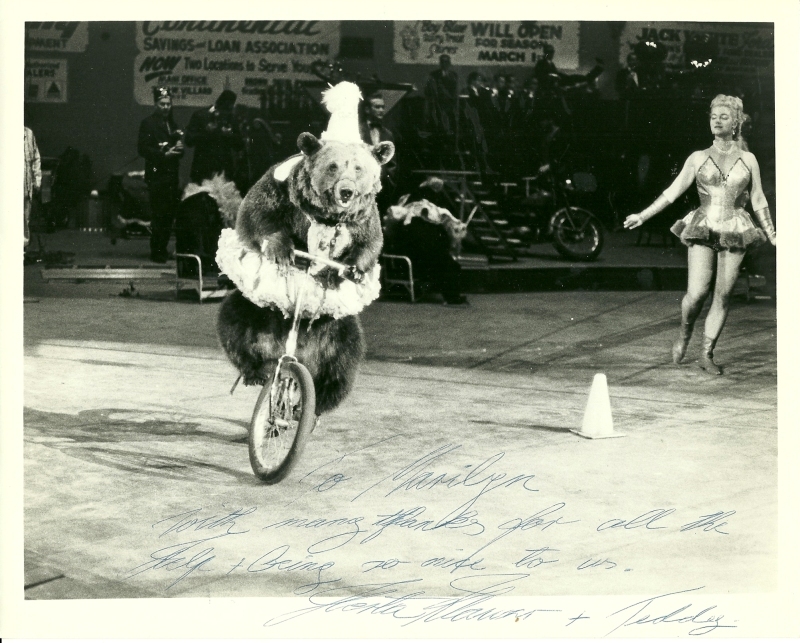 Having seen a tall guy hunched over a bike for a ten year old, looking like the bear in the picture above minus the fur, I quickly grabbed the nearest two wheeler and stated “This one works” before the owner could choose a bike for me. I have no doubt that had the bicycle owner not reached my host, the police would have been the next call. “One of the girls staying with Tasia took my son’s bicycle. I can’t reach Tasia, go find her.” It’s a small town, there’s not a whole lot else the police force has to do. *Names have been changed to protect the identities of people who chose not to hand me over to the fuzz. This entry was posted in Uncategorized and tagged biking, humor, Humour, jail, stealing, theft by The Great Unwashed. Bookmark the permalink. Eh mon dieu. Tu es loins de nous. I have a conversation recorded that says the contrary. I believe the lawyer comment though.